Summary: In order to improve your company’s effectiveness and overall security, a NOC can be your solution. 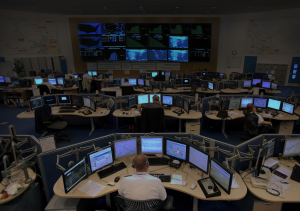 The Network Operations Center (NOC) is more than just a central command center. It not only provides the customer that peace of mind that they need when it comes to running a successful and efficient business, but it also monitors the health, productivity, and security of the network infrastructure that’s required. Here are some of the reasons why co-sourcing a Network Operations Center might be the best decision you’ll make for your business. One of the issues with in-house monitoring is the limited time frame that the IT specialists have. More specifically, the team cannot manage an issue if something goes wrong during the middle of the night. In most cases, if a problem does occur, the team will walk into the next day to resolve it, as opposed to a 24 hour NOC that’ll handle anything by utilizing remote monitoring and management software that can remotely access any network and obtain the information they need to correct the problem. Constanttech.com can build custom NOC equipment for your business. Give them a call and see what they can provide for your company. With these alerts, the team can resolve the issue immediately as opposed to having to rely on making tickets that are categorized by priority and severity. Now, you might be thinking there may not be a need for security operation center consoles, but consider the fact that you could be the target of a major hack. What if it occurs at the middle of the night when your employees are sleeping soundly? Consider it “open season” for those that are targeting your company. And, the effects of this can be devastating.